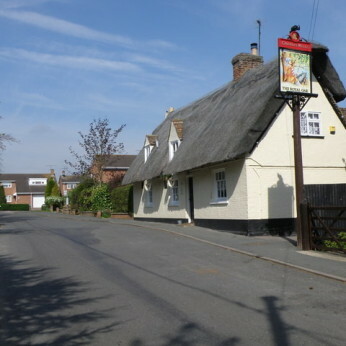 The Royal Oak is an 18th-century public house in the village of Hail Weston, Cambridgeshire. This Grade II listed building served as a social centre of Hail Weston life for generations but was sold by the Charles Wells Pub Company in November 2011 and closed as a pub on January 1st 2012. There followed a long campaign by the Hail Weston Community Pub Society to save The Royal Oak from redevelopment. This led to it being declared an Asset of Community Value in 2013 which effectively stopped it being sold as anything but a working pub. In January 2017 The Royal Oak was bought by a group of eight local villagers and, with the help of over 100 community volunteers, the building has been refurbished and reopened as an independent village pub on May 19th 2017. We look forward to The Royal Oak again being back at the heart of the community.